ELAUL, created in 1949, specializes in secured airfield safety lighting and in safety electrical products such as submarine emergency lighting. All our products are conceived and manufactured in our facilities in South West of France and comply with the highest quality standards. ELAUL has been working with ASECNA (Agency for Air Traffic Safety in Africa and Madagascar) for many years and is a long-term partner of prestigious entities such as ADB Airfield Solutions, Thorn Airfield Lighting, ADP (Aéroports de Paris) and the armed forces (NATO : F-2762). Our company provides tailored solutions to adapt the changing needs of our customers (halogen or Led lights, workshop chargers or on trailers, adaptation of the size according to the requirements). All our new lights are more eco-friendly and equipped with recyclable Ni-Cd SAFT batteries, one of the world premier professional accumulator batteries specialists. They do not need to be charged regularly and can be stored during long periods of time. 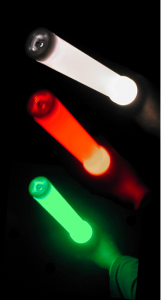 We also offer a complete range of luminous variations. Available in halogen and LED version. Can be provided together with the ELAUL charger. This new portable and rechargeable light offers the possibility to choose the brightness level you need as it is perfectly suitable for airport use. Light supplied with a magnetic suction cup on its base ensuring stability on the runway (optional anchor plate) or in the trailer during charging time. 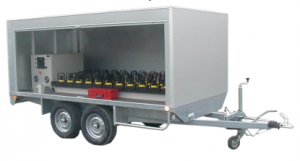 The whole lot is stored inside the trailer, in storage boxes provided for this purpose. The essential characteristic of this type of charger lies in its ability to charge the beacons during a period of time limited by a timer. It allows also the permanent connection of the beacons to the charger in order to maintain their charge. Supply by network single-phase current 230VAC 50 Hz. Protection of the charger by circuit breaker. Apparatus equipped with a standardized 2P+G 16A plug. Load circuit for 12 beacons. Interventions on the electrical supply network should be carried out only by qualified personnel. The mains protection must be carried out by a breakdown which is able to manage the fugitive overcurrent, due to the magnetizing current. 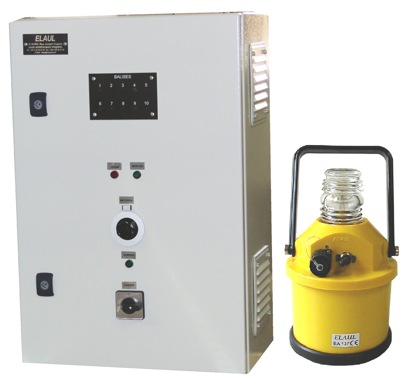 The protection of the charge is carried out by unipolar fuses. The new ELAUL JB31T signaling wand is suitable for police, navy or airport handling use. Rechargeable with the JB28 charger. Only one charger is needed for two wands. 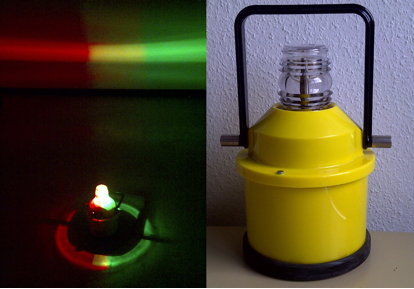 Colors can be changed as often as often as wanted thanks to the left switch and the torch can be switched on and off thanks to the right one. Standard colors are red – white – green, but other colors are available on request! When the torch is on, colors are off. The signaling wand does exist without torch and in a D-cell version.